This book uses extractive industry projects in Africa to explore how political authority and the nation-state are reconfigured at the intersection of national political contestations and global, transnational capital. Instead of focusing on technological zones and the new social assemblages at the actual sites of construction or mineral extraction, the authors use extractive industry projects as a topical lens to investigate contemporary processes of state-making at the state–corporation nexus. Throughout the book, the authors seek to understand how public political actors and private actors of liberal capitalism negotiate and redefine notions and practices of sovereignty by setting legal, regulatory and fiscal standards. Rather than looking at resource governance from a normative perspective, the authors look at how these negotiations are shaped by and reshape the self-conception of various national and transnational actors, and how these jointly redefine the role of the state in managing these processes for the ‘greater good’. 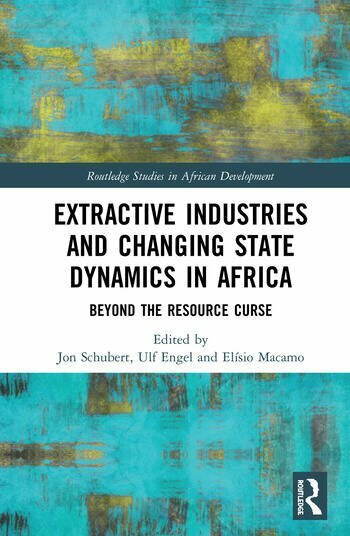 Extractive Industries and Changing State Dynamics in Africa will be useful for researchers, upper-level students and policy-makers who are interested in new articulations of state-making and politics in Africa.